the package is good. Book was very neat. Easy for kids to carry. Colourful pictures. collection of books is good in this portal. Books has prices in all ranges. Very good. any other jumbo book available? My kids finishes this in just one day. Any other book with more pages available? portal is very fast. Order quickly. Lot of variety for kids. I also got other products from the portal for my kid. nice book with lot of pages. Easy to colour. 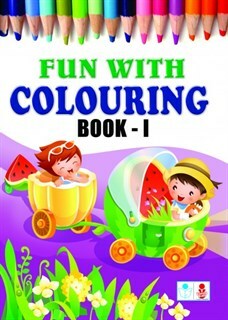 Colour names are given so that students can colour easily.